South Africa is the second largest apparel (fine wool) producer in world after Australia, generating R900million per annum. Total wool sales contributed R1.1billion to the South African economy in 2006/2007. Wool is produced throughout South Africa; however key production areas lie in the drier regions of the country, including the Eastern Cape (25.1% of the national clip), the Free State (24.1%), the Western Cape (19.9%), Northern Cape (12.5%) and Mpumalanga (7.7%). Approximately 90% of wool produced in South Africa is exported, predominantly to the UK, Germany, Japan, China, France, Italy, South Korea and Taiwan. Current wool production practices pose certain pressures on the environment. Overgrazing of livestock and desertification reduce rangeland productivity, which may reduce production capacity and has increased land degredation. Another threat is indiscriminate lethal predator control methods used to protect livestock. Many farmers use lethal trapping methods (poisoning and gin traps) to deter predators from killing livestock. These methods are aimed at target species, such as leopard, caracal, jackal, badgers and birds of prey, but many indiscriminately kill other species such as tortoises, aardvarks, porcupines and antelope. In addition, killing the top predator not only threatens the functioning of an ecosystem, but also attracts other predators into the region, and has been shown to increase livestock losses. Finally chemicals in the form of residual pesticides used on greasy wool are a major threat to the environment and the image of the South African wool industry. In response, the National Wool Growers Association has developed wool industry guidelines for sustainable Wool and Mohair production. In response to changing global demand for more sustainable wool products, the South African National Wool Growers Association (NWGA) has developed a set of guidelines for best practice production. The guidelines are based on three core pillars: animal well-being, sustainable resource management and social well-being. The guideline criteria are based on several existing global certification schemes (e.g. EU standards; GlobalGap, organic standards). In 2009, the NWGA produced the Sustainable Mohair Industry Production Guidelines (2.07 MB) based on environmental, social and economic principles in association with the GreenChoice Alliance. The South African cut-flower industry contributes considerably to SA’s economy and employment, particularly in the Western Cape, and has shown significant growth in the past ten years. The country produces half the world’s wild-cut proteas, employing 25 000 people and generating total revenue of approximately R82 million per annum. 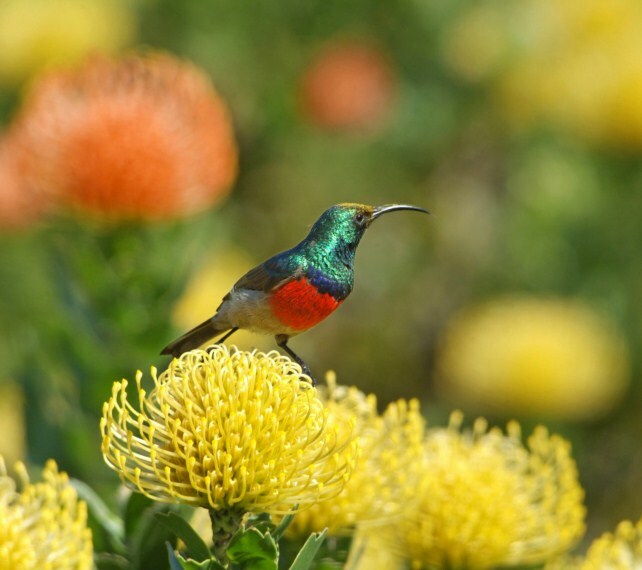 The Agulhas Plain in the Western Cape hosts part of the world’s richest biodiversity, including the globally significant Lowland Fynbos on limestone soils, considered endangered and restricted largely to the southern Overberg. One of the key threats to the biodiversity of the Agulhas Plain is unsustainable harvesting of wild flowers, cutting them at a rate that does not allow them to reproduce. In response, the Flower Valley Conservation Trust was formed in 1999, with assistance from Fauna and Flora International and Shell Foundation. 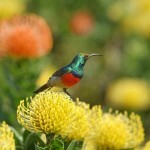 The Sustainable Wild Fynbos Harvesting Program comprises 8 suppliers and 30 597 ha. Land within the Sustainable Wild Fynbos Harvesting Program meets 57% (5 329 ha) of the national vegetation target for the Vulnerable Agulhas Limestone Fynbos (Green Choice Biodiversity Baseline, 2010). 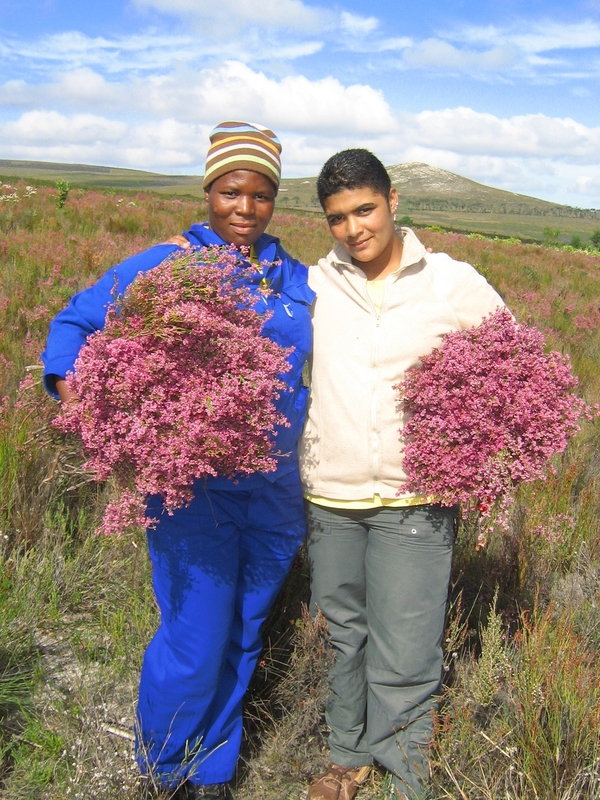 In order to prevent future threatened habitat transformation in the 20 000 ha Agulhas Plain, the Sustainable Wild Fynbos Harvesting Program works with their industry partner, FYNSA, to improve the market positioning of wild harvested fynbos material, using eco/ethical labelling to add value and gain market access. The Sustainable Wild Fynbos Harvesting Program has a partnership with Marks and Spencer abroad and Pick ‘n Pay locally. Members are provided with a sustainable harvesting guideline, an Index of Vulnerability of Species, a Natural Resource Management Plan and are audited before certification. Sustainable harvesting courses are held.